Lollard Street Adventure Playground aims to support children and young people and their parents/carers to feel confident about playing through creating a playful environment where children are encouraged to take responsibility for their own behaviour and play. We feel that giving children and young people a space that they can call their own to play in allows them to express themselves fully, challenge themselves and respect each other. Creating a child centred environment means that the children and young people decide what they want to do, creating ownership of the space. This gives children and young people the confidence to be able to express themselves to each other as well as learn new skills by challenging themselves in areas they sometimes wouldn’t get a chance to do. For example the children and young people can learn how to build wooden structures/dens, at the same time they can learn to ride a bike, light a campfire or run a tuck shop. We have found that if the ideas come from the children and young people first then they are much more likely to engage in positive ways. Giving the children and young people a free space to play in also draws them off the street and away from TV screens, mart phones and computer games. It gives the children and young people a space they can develop physically through exercise which is of huge benefit to their health and well-being. There is a lack of open space in the heart of London so Lollard Street Adventure Playground is a vital space children can run, climb and jump around in. Local residents have told us that the playground being open again has helped with the general anti-social behaviour in the area because the children and young people are engaged in what is going on at the playground. 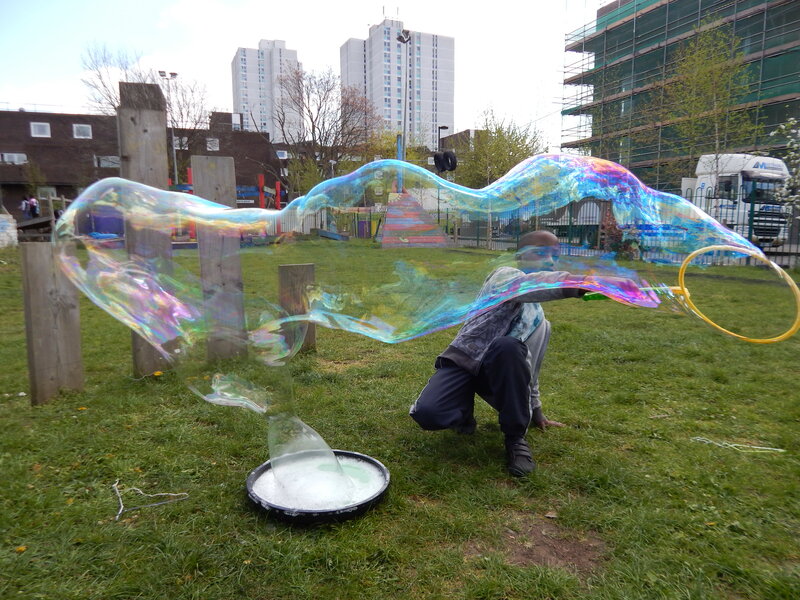 Lollard Street Adventure Playground will always stand up for the rights for children to play freely and the benefits that play can have on children and young people and the community.